Get your kids to dye cochineal! Vote for your favourite Aztec day sign! 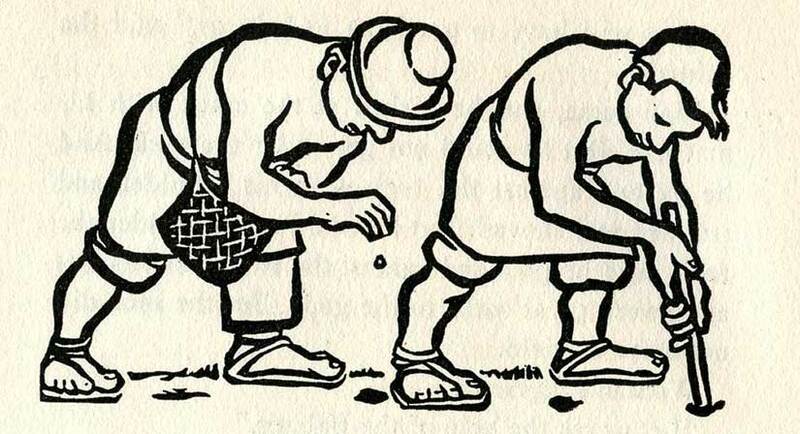 Did the ancient Maya invent the first comics? Man had discovered the vegetables. He had cut down the vegetable tree and had planted papaya, squash, sapote, and the other vegetables and fruits. But he did not have corn. All the corn in the world was hidden under a big rock at the edge of the world, and only the leaf-cutting ants knew were it was. 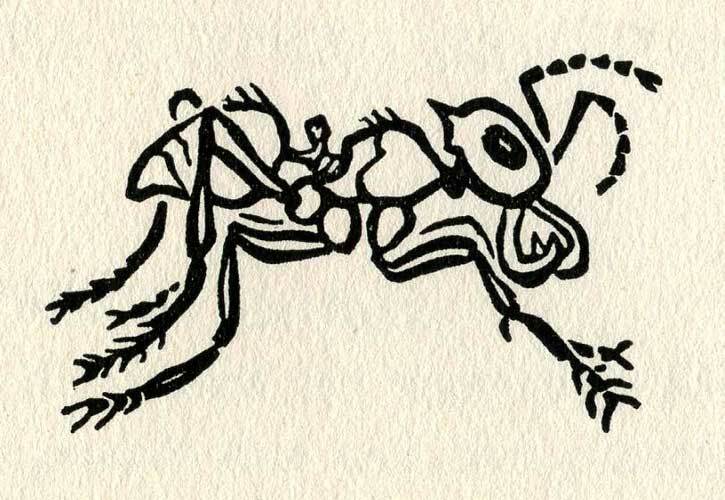 Once a week the leaf-cutting ants marched in an army to the edge of the world and crawled under a crack in the rock. And when they marched home again, each ant carried on its head a grain of maize. The leaf-cutting ants guarded their secret carefully. Always before they left their home, they sent out scouts to see if the trail was clear. And again the scouts went out before the ants left the rock. It happened, however, in spite of the scouts, that one day the fox discovered the ants as they were leaving the rock. And he frightened them and took their grains of corn. And the next day the animals followed the fox. And the next day. And the next. And nothing happened. The fox always went to the edge of the world and sat there, hidden in the bushes, watching the rock. The following week the leaf-cutting ants marched to the rock. They marched in an army through the crack, and when they marched out again, each ant balanced on its head a grain of maize. As soon as he saw them, the fox pounced on the ants, and the animals pounced on the fox. And there were not nearly enough grains to go round. So the animals discovered where the corn was hidden. But they could not get under the rock. The jaguar tried, and the wild pig, and the monkey, and the armadillo. And the ocelot tried, and the rabbit, and the squirrel. But they could not get under the rock. Even the red ants were too large to crawl through the crack to where the corn was hidden. ’We will have to get Man to help us,’ said the animals. Man came, and he picked at the crack with his machete. But he could not get under the rock. And he pushed against the rock with his shoulder and strained and shoved. But he could not get under the rock. And he pounded against the rock with his fists and swore great oaths to the gods. But the rock did not move or yield. Woman did not answer. But she dug a bit of resin from one of the trees. And she set fire to the resin. And the perfume of copal ascended into the skies. And the Balams were pleased. They came with their thunderbolts and their arrows of lightning and loosed them against the rock. Again and again they hurled their bolts against the rock. And the rock did not yield. The the Balams called Chac, who was the mightiest of the Balams. And Chac, the Thunder God, came with his lightning and thunder. But before he loosed them, he called to him the woodpecker. The woodpecker hastened to do the Chac’s bidding. He flew to the end of the world, and for a day and a night and a night and a day he tapped the surface of the rock. And he flew to tell Balam which was the weakest point. 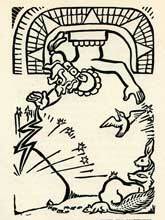 Then Chac hurled his thunderbolt against the weakest point. But the rock did not yield. Again he hurled his thunderbolt, and the rock began to tremble. 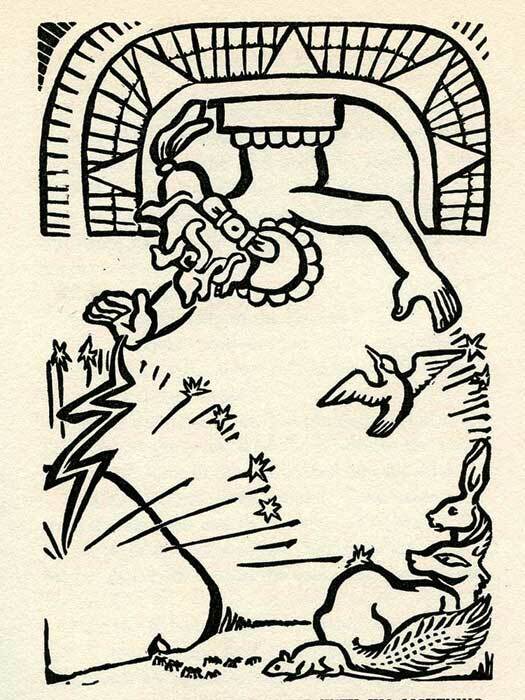 Once more Chac hurled his bolt. And this time with a roar the rock was splintered, and a river of maize grains rushed out. The animals pounced on the new food and ate it greedily. But Man hurried away to plant the seed. From that day to this, when he eats his tortillas and his tamales, Man remembers the Balam. 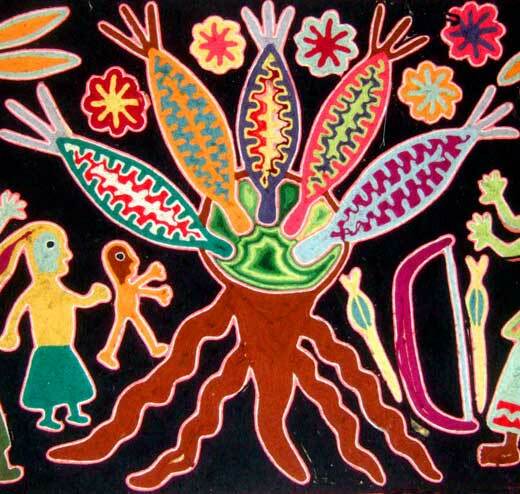 And when he plants his milpa (cornfield), he always offers his prayers to the Chac. That is how it happened.